Mint helps more than 20 million registered users better understand and manage their money online and on mobile devices. 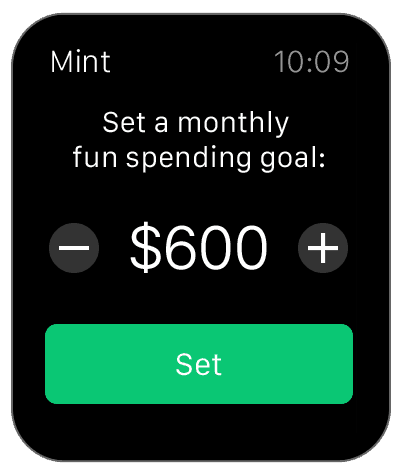 Today, iPhone users now have a new way to be good with their money from their wrist with the introduction of Mint for Apple Watch. 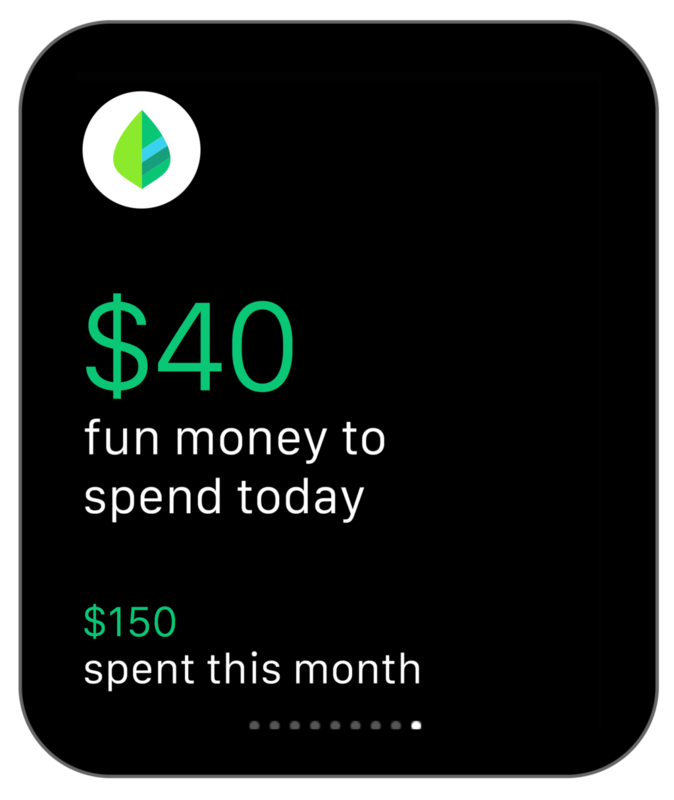 A unique Mint experience designed exclusively for Apple Watch lets you review your day-to-day spending at a glance and then suggests what’s available for “fun”, or discretionary spending, so you can live comfortably within your financial means. Think of Mint on Apple Watch as a companion to the Mint iPhone experience, providing a clean yet, simplified look at what is safe to spend. For more robust Mint features like credit score, budgeting and account balances, users can continue to use Mint on the iPhone, iPad and iPod touch. 1. Download or update Mint on your iPhone (available on iPhone 5 or greater) and log in with your existing credentials. 2. After you pair your Apple Watch with your iPhone, choose to Display Mint, and turn on Glances. 3. Once set up, Mint reviews your spending for the past 3 months in 18 “fun” categories like dining, shopping, entertainment and more. From there, Mint then encourages you to set a monthly fun spending goal, which can easily be adjusted by the user. 4. Mint will also send you personalized weekly spending summary notifications to help you stay on track. Learn more about Apple Watch available April 24.